Discipline Disparities | Curriculum Management Solutions, Inc. 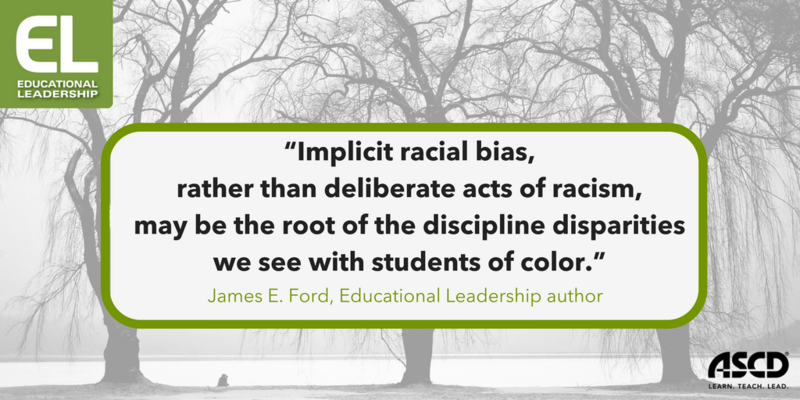 The Root of Discipline Disparities from Educational Leadership is an article I’ve been chewing on for a while. One of the lenses CMSi uses to evaluate equity in school systems is the rate of suspension among racial and ethnic groups. This practice is validated by Mr. Ford’s insightful analysis, and his explanation of Patricia Devine’s Bias-Reduction Intervention research provides much food for thought. Institutional racism doesn’t have to be a conscious, targeted program; rather, it can be a subtle, subconscious issue of perception. Dealing with it in an open, restorative way can have long-term impact on the educational system.